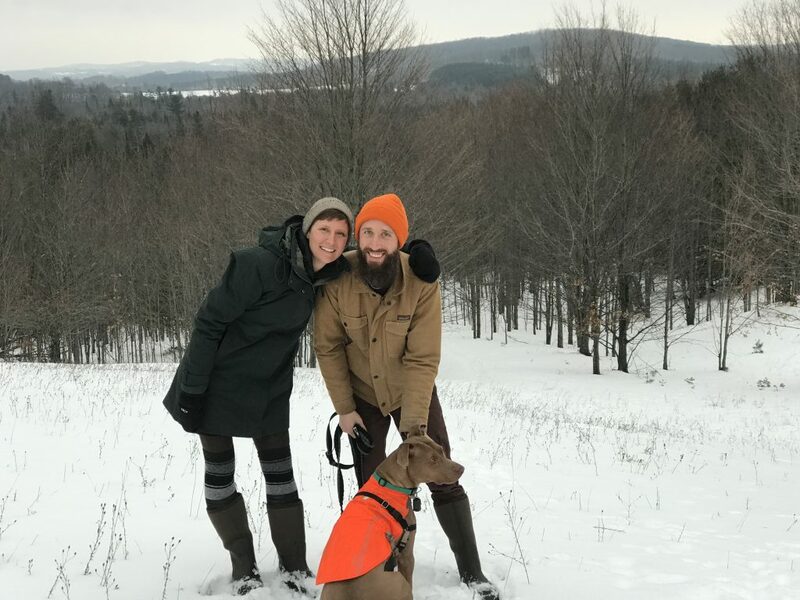 Jen Superson and Trevor Smith were living in Brooklyn when a listing popped up on Zillow for a home with 42 acres near Cedar. The listing was so compelling that they decided that night to pack up and drive 15 hours to Leelanau to tour the property. 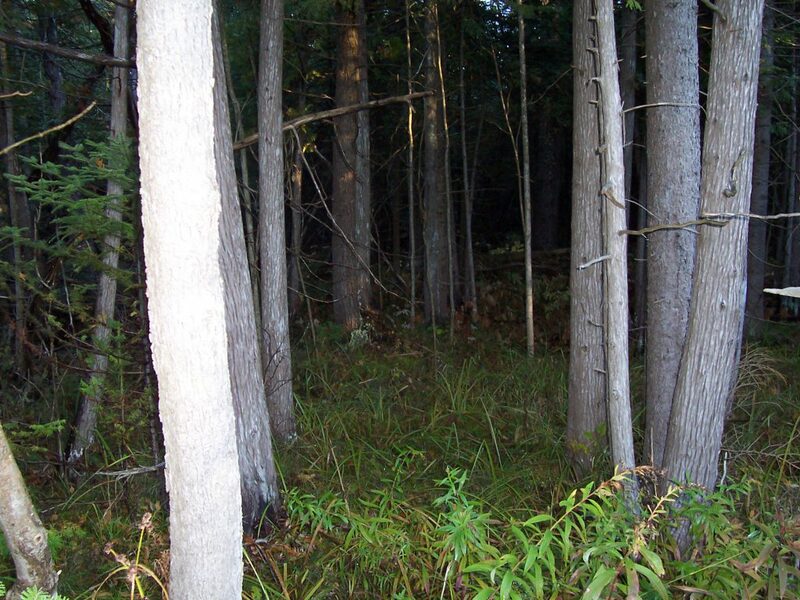 The Zillow listing was an ecological treasure, with wetlands and streams, hardwoods and views of Lake Leelanau. 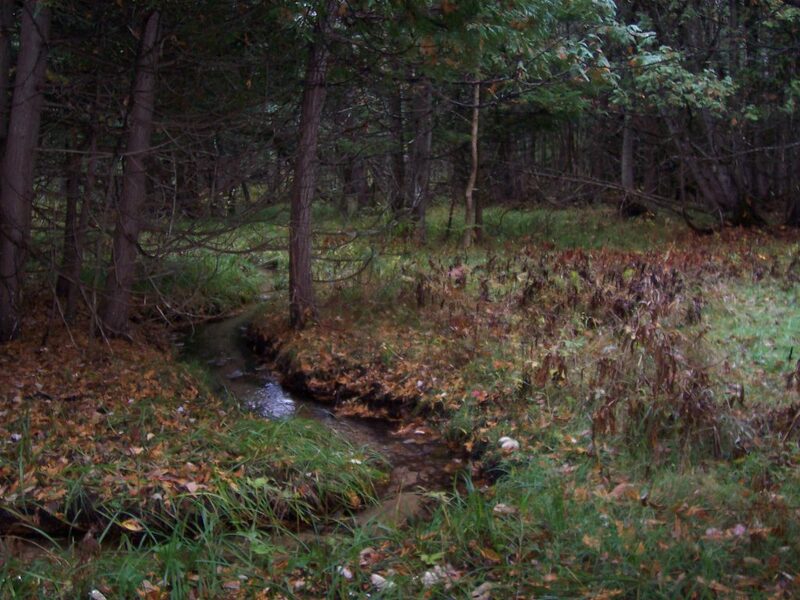 They loved that 35 acres had been protected in 2005 with a conservation easement by the seller, Robert Bartle, who wrote about his love for the land in the listing. Because the majority of the land was restricted from development, the asking price fit their budget. Compared to Brooklyn real estate, it was an amazing value. Trevor is a software designer who works remotely, and Jen is a therapist who established a practice here. “It was serendipitous,” says Trevor. They met Robert, and instantly felt connected. “He was so honest and transparent, and his love for the land was evident,” says Jen. “We share a view that land is not owned, but rather entrusted to our care. Since 1988, the Conservancy has worked with nearly 200 landowners to protect 10,000 acres of private lands. Ownership of these properties is starting to change. Some are passed down to family but others, like Robert Bartle’s, are being sold to new owners. landscape feels more gentle.” They were married in 2014 at Trevor’s parents’ home (Jeff and Linda Smith) in Cedr. 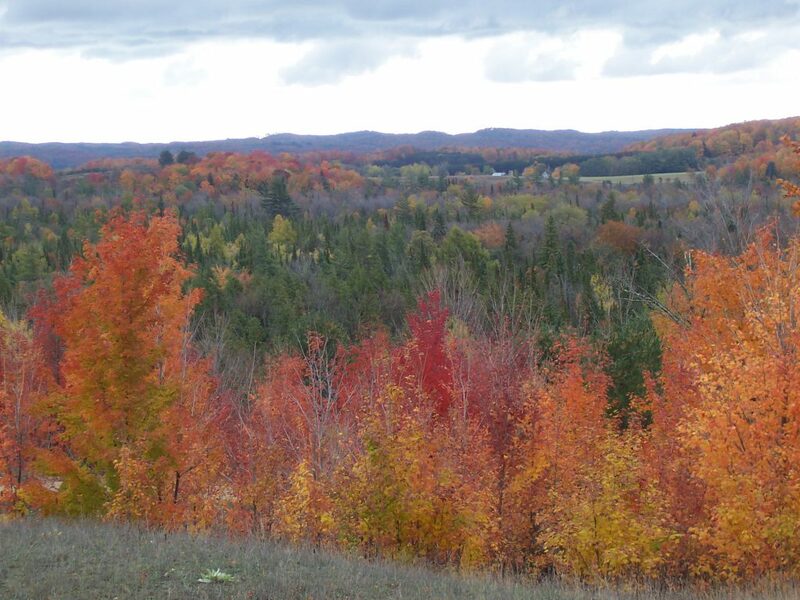 East coast friends who attended were wowed by Leelanau. “They kept saying how much Lake Michigan felt like the ocean,” she says. Note: Private protected lands like Jen and Trevor’s are not open to the public but we all benefit from their preservation. “Protected Forever” Really Means Forever! the land, the protections we put into place to protect the natural features travel with the deed, from owner to owner. Thanks for a great story guys. I have yet to make it over.